Senior Members must be at least 18 years old. There is no maximum age limit. No, you do not have to join the military. Is prior military experience counted? Regular and Reserve officers of the Armed Forces of the United States, active, retired, or honorably discharged, may be advanced to a CAP grade equivalent to their grade in the Armed Forces (but not to exceed lieutenant colonel), in recognition of their military knowledge and experience. Regular, Reserve, and National Guard Senior Noncommissioned Officers of the Armed Forces or Coast Guard of the United States, active, or retired, may receive an advanced CAP grade in recognition of their military knowledge and experience. Such promotions are neither automatic nor mandatory, but are at the discretion of the promoting authority. Senior members may be required to wear a uniform during some activities – such as when flying in CAP aircraft or working with the cadet program. Senior members may wear the USAF style blue uniform or one of the distinctive CAP uniforms. However, some members choose to serve quietly without wearing a uniform. You can purchase uniform items from Vanguard. Do CAP members have access to military bases and get to shop at the BX (Base Exchange)? You will only have access to the base when participating in CAP events. You will be allowed to shop at the BX only when on official orders and lodged on the base. Authorized uniform items can be purchased at the Military Clothing sales store. Aliens admitted for permanent residence are eligible. Other non-citizens must request a waiver of the citizenship requirement through the wing and region commander. I’m not a pilot. What would I do in CAP? There are many volunteer positions in CAP. Whatever your talent or area of interest, there is a squadron or unit that needs you. To find out what positions might be available to you, contact our squadron. Will CAP train me to be a pilot? CAP does not normally provide primary flight training for members. That said, we do have a lot of members who are also Certified Flight Instructors and often willing to provide training to members at reduced rates. Depending on your locality, CAP members may also have access to military aero clubs and their flight instructors which can be significantly cheaper than going through a normal commercial operation. We have several scholarships that help CAP Cadets obtain a pilot’s license. See our scholarships page for details. Once you have your license, you can fly with CAP CFIs in CAP aircraft to increase your ratings which can also be significantly cheaper than a commercial operation. Most squadrons meet weekly for about 2 1/2 hours, and offer special activities on the weekends and during the summer. How do senior members advance in the progam and earn promotions? All promotions are at the discretion of your squadron commander, but the standard way to earn rank is determined by your time in CAP, time in your current rank, and the training you complete for your CAP position. There are other circumstances that warrant a promotion – for specifics, talk to your squadron commander. What kind of aircraft does CAP have? CAP has approximately 550 aircraft, mostly Cessna 182s and 172s. CAP has the largest fleet of single-engine piston aircraft in the world and through CAP’s volunteer members, CAP logs about 120,000 flying hours per year. Why do I have to submit fingerprints with my application? In order to ensure the best possible protection of CAP cadets, all senior members are fingerprinted and checked by the FBI to ensure no one with any violent or sexual-assault felony convictions has contact with the cadets. No, you are a civilian and do not have any obligation to any branch of the military. You can not be deployed, called to active duty, or forced to serve in any branch of the US Armed Services in any way. CAP members are not eligible to receive any Veterans Administration Benefits for their volunteer service to Civil Air Patrol. I’ve been arrested/charged before; can I still be a member? Having an arrest/conviction (or other similar charges) does not automatically preclude you from membership. We can not make a determination until after you apply for membership in CAP. Just make sure that you note the charges on the application and supply any required information. Once the application comes to National Headquarters the Confidential Screening Coordinator will review your case. Want to support CAP, but don’t have the time? Many citizens want to support the great work of CAP, but simply don’t have the time. You can still help by becoming a member of the National Patron Squadron. Visit our Friends of CAP page for more details. Annual membership dues vary. Please click here to view the membership dues table. Please visit our “Join” page for a step-by-step guide to joining CAP. Can potential members join with a medical condition or disability? How old do cadets have to be to join? Annual membership dues vary. Please click here to view the membership dues table. Cadets receive their first blue Air Force style uniform at no cost and will receive a new member kit with learning materials. Additional activities may have fees to cover lodging and meals. How much time do cadets have to give each week? Can cadets learn how to fly? You will have the opportunity to fly in a CAP plane and possibly a military aircraft. CAP doesn’t teach all cadets to fly, but provides opportunities such as flight academies during the summer which provide cadets with ground school training and a limited number of flying hours. You can also compete for scholarships that will help pay for your pilot’s license. Yes. See our scholarships page for details. CAP takes its responsibility to safeguard youth very seriously. The adult volunteers who interact with cadets (known as CAP senior members) have been fingerprinted and screened by the FBI. All adult members also take a Cadet Protection course as part of their initial training. Do cadets need to maintain a certain grade point average to participate in CAP? School should always come first for the cadets. CAP expects cadets to maintain “satisfactory performance” at school, as defined by the cadet’s parents. Because CAP emphasizes self-discipline, it’s not uncommon for parents to see their son’s or daughter’s grades increase as a result of their participation in the Cadet Program. Why do cadets wear uniforms? The basic cadet uniform is the short-sleeve Air Force style blue uniform. Most cadets also choose to wear the optional ABU or BDU (camouflage) uniform. New cadets are eligible to receive the Air Force style blue uniform at no cost to them through the Cadet Uniform Program, depending on the availability of Air Force funding. See your local squadron commander for details. ABUs, BDUs and other uniform items may be available through your squadron, but most of the time you will need to purchase the items through the CAP uniform store or they may be purchased through the clothing sales store on military installations. What’s involved with cadet orientation flights? Through orientation flights in powered aircraft and gliders, cadets experience flight first-hand. CAP’s pilots are licensed by the FAA, follow a syllabus for each flight, and ensure the flight is conducted safely. Orientation flights are free to cadets. See the squadron commander for information about when the next opportunity to fly is scheduled. How do cadets advance and earn promotions? Can I be involved in CAP with my teen? Cadet Sponsor Member — Just like any other youth organization, CAP relies on parents to help support the program. Parents do have to undergo the same background screening process and cadet protection training as the other adult members and first year dues are just $30 and renewals are only $20. As a parent sponsor, you’ll be able to help chaperone the cadets, ride or drive in the CAP vehicles, and otherwise help the other adult volunteer members. You will not be required to wear the Air Force-style uniform. 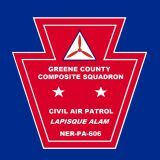 Senior Member — If you are more interested in taking a leadership role in the Cadet Program, or want to participate in CAP’s aerospace education and emergency services missions, you should join as a senior member. Talk with your child’s squadron commander about joining as a senior member. You will need to submit and complete a membership application, fingerprint card and complete an orientation course. Annual membership dues vary. Please click here to view the membership dues table. What criteria must a pilot meet to fly with CAP? To be eligible to fly a corporate aircraft, the pilot must possess a valid FAA private, commercial or airline pilot certificate; must be an active CAP member at least 17 years in age; and must possess a valid and current medical certificate. The member must complete a flight check in the aircraft within the preceding 12 months as well as an annual written examination and annual aircraft questionnaires for each aircraft authorized to fly. The pilot must have 200 PIC hours and 50 cross-country PIC hours to serve as a mission pilot.